You may glance around one day and realize that your home isn’t exactly the way you hoped it would look at this point in time. Maybe you’ve recently moved in and haven’t had a chance to unpack, or it’s that you’ve been living there a while but simply haven’t given your space the attention it deserves. No matter your situation, there are several practical ways for how you can improve your home. Take the time to address these specific areas, and you’ll likely fall in love with your property all over again when you’re all finished. 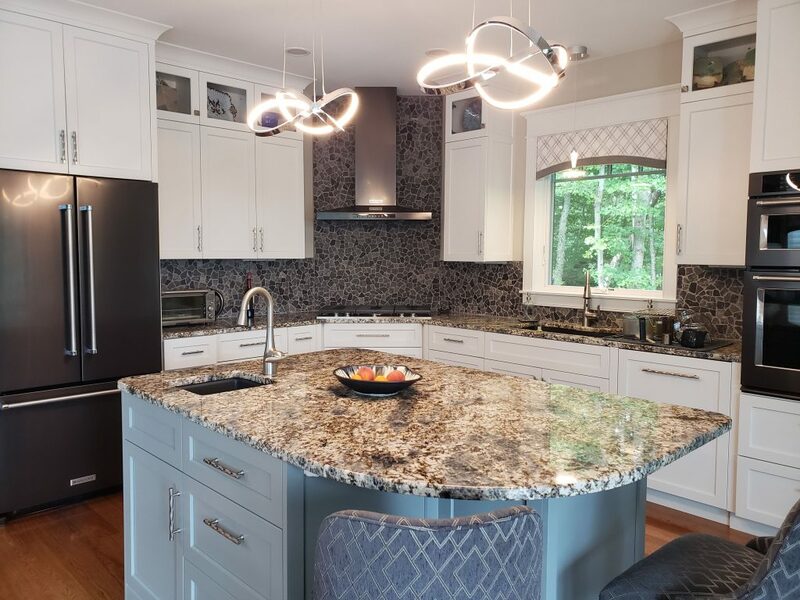 One practical way to improve your home is to get it professionally inspected by our West Hartford, CT Interior Design firm. This way, you know what concerns you need to address first and be more educated about these improvements. Hiring a professional decorator will help you come up with a game plan for what you want to tackle and about how much each update will cost you. You’ll understand any problem areas up front and will be able to address them early before you go to sell one day. While it will cost you some money to do so, you’ll feel a lot more comfortable and confident knowing the specifics about what improvements your home needs and that they will be done right. Your home will be a much happier and healthier place in general when you take the time to organize and declutter your space. This is a practical way to improve your house because it’s a very doable DIY project that has the potential to completely change your environment for the better. Take a few weekends to sort through your belongings and head to the store and purchase organizational tools and bins to help you get all you own in order. Ask your family members to pitch in and help so you don’t have to tackle this project all by yourself. Remember to sort through closets, the basement and any hidden areas where you’ve allowed your items to pile up. The last situation you want is your air conditioning going out during a hot summer or your heat failing you in the winter. What will help you avoid this situation is if you’re good about scheduling regular HVAC maintenance in your home. You can learn more by going online and finding a reputable company to come to your property and check out your situation. They’ll not only be able to diagnose any issues they discover, but will also be able to offer you up a few tips to help you avoid any major complications going forward. Some of the most important rooms in your home are your kitchen and bathrooms, so it’s worth the investment to keep them updated. Not only will you enjoy your space better, but it’ll be easier to sell your home when the time comes to put it on the market. Consider full renovations or a few cosmetic upgrades depending on the current look and feel of your kitchen and bathrooms. New or refinished flooring, a back-splash and freshly painted cabinets can make a world of difference when it comes to the overall appearance of these rooms. You likely spend a lot of time in these areas and will appreciate having them appear more modern and trendy. An easy and practical way to improve your home interior and exterior is to apply a fresh coat of paint. Keep in mind that you may be able to complete some of the job yourself and may want hire a pro to help with the more difficult to reach areas or larger spaces. 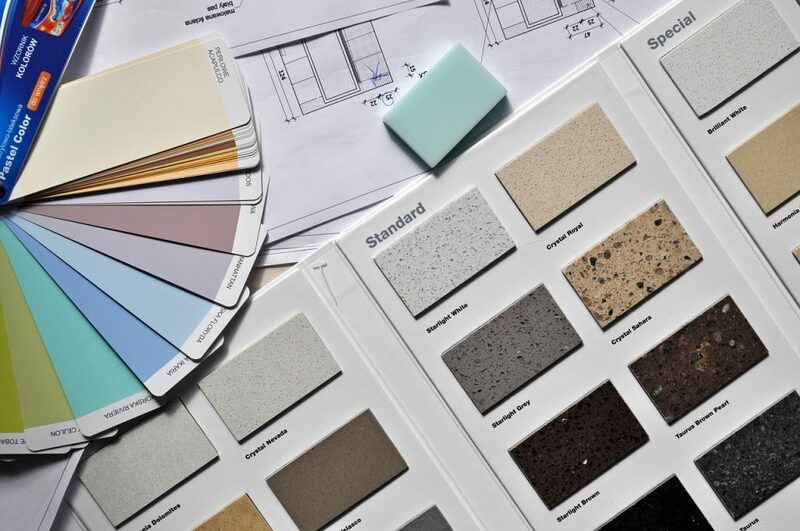 Be sure to contact an interior designer who is a color expert when picking out the specific colors you want and bring home a few paint samples to test on the walls before committing to a particular hue. This is also your chance to add a little character to your home by painting an accent wall, adding stripes or going for a more dramatic look in a few certain rooms. Improve your home by focusing on your curb appeal and making sure your house looks attractive from the roadside. You want passersby to look at your property and notice how nice and well kept it appears from the outside. This admiration will pay off in the long run when you decide one day you’re ready to sell and move to a new property. Pay attention to your landscaping, paint your front door an attractive and eye-catching color and consider repaving an old driveway to help you achieve this goal. Be discerning and critical when you pull up to your home and start to make changes based on what you find turns you off the most. An additional way to improve your home and enjoy your property more is to spruce up your backyard. Make the investment to build or replace an old deck or patio and create an oasis where you can go to relax or entertain guests. Include comfortable and cozy furniture, a spot for grilling and add outdoor lighting solutions to help create a more relaxing ambiance. Also, think about installing bushes or shrubs to add an extra layer of privacy from the neighbors. You’ll love having the option to spend more time outdoors when the weather is nice with your friends and family members. Your house is likely a very important place to you, and so it makes sense you’d want to invest time and money into improving it. Use these ideas for practical ways you can enhance the look and feel and enjoy your property more on a daily basis. It may help you to determine what you should do. Be sure to take before and after pictures and admire your transformation when your upgrades are complete. This post is a collaborative effort and may contain sponsored affiliate links. All opinions are our own and for informational purposes only.